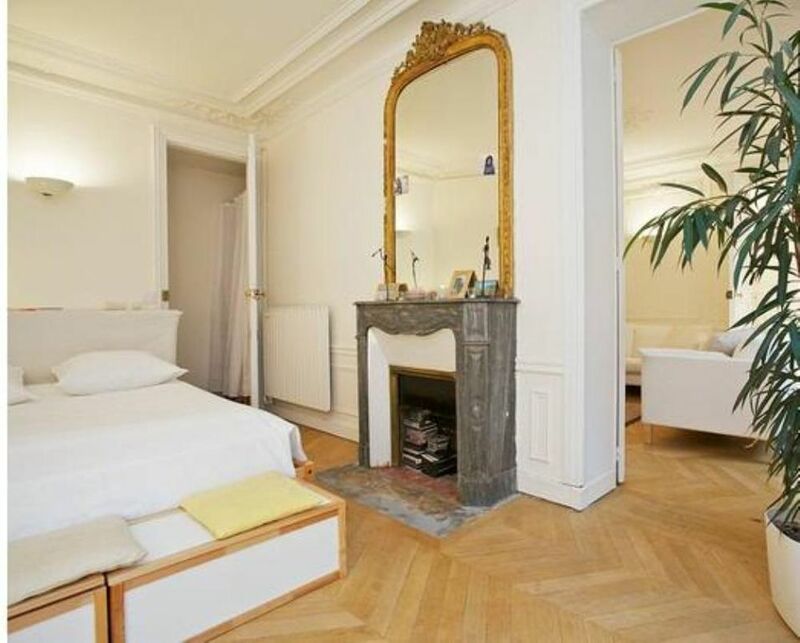 The apartment is just steps away from Palais Royal, Louvre Museum, and Opera house. It is right in the heart of the Opera area, one of the most active and enjoyable neighborhoods in the city. The cafes are lively and the multitude of restaurants and bistros are excellent (mostly Japanese fare, but you can find other foods as well). Bakery around the corner - where you can buy a freshly baked baguette or croissant - and Monoprix (grocery store) 2 min walk away. The metro is just down the street for easy access to all of Paris. Many tourist agencies are within a 2-3 min walking distance and easy to go for excursions as well. 1 block from Subway. Convenient location. Nice accommodation. The apartment is just great, very central, all central Paris directly in front of the door. Marie Laure is a great host, very welcoming and keen to help at any point in time. I recommend this place without the slightest hesitation. Dans le Centre historique, à proximité de tout (Louvre, Opéra, Palais Royal,...). On se sent rapidement comme si l'on était chez soi. Tout est prévu pour le quotidien. Je n'hésiterai pas à renouveler si l'occasion venait à se représenter. "l'' appartamento è perfetto per due coppie ovvero per una coppia con due o tre figli. la proprietaria ha lasciato tutti i suoi effetti personali nell'' alloggio. questo è stato per noi utile ma la valutazione è soggettiva-. La nostra esperienza è stata molto positiva.-"
"AMBIENTE CONFORTEVOLE E PULITO. OTTIMA POSIZIONE. ESTREMA GENTILEZZA DA PARTE DELLA PROPRIETARIA." "Nos hemos encontrado con un piso muy acogedor, parecía que estuviéramos en casa de un amigo, muy agusto. La propietaria, Marie-Laure ha sido tambien muy amable y acogedora. Nos ofreció de todo. El piso es antiguo con los techos artesonados, cada cuarto con su chimenea, su planta, todo tan blanco como se ve en las fotos. La situación es fantástica, a un paso del Louvre y la calle llena de garitos japoneses para una cena improvisada." (Text automatically translated) Thanks to the many subway stations nearby (Pyramids, Palais Royal, Bourse, Opera), you can also reach most tourist attractions scattered across Paris in less than 15 minutes (Champs Elysees, Notre Dame Cathedral in Paris, Museum d&#39;Orsay, Latin Quarter, etc.). (Text automatically translated) The neighborhood is also one of the major assets of this apartment. Very quiet and perfectly safe - day and night - you will find many shops for shopping (supermarket, bakery, grocery stores), and hundreds of restaurants to discover French gastronomy or Japanese whatever your budget!